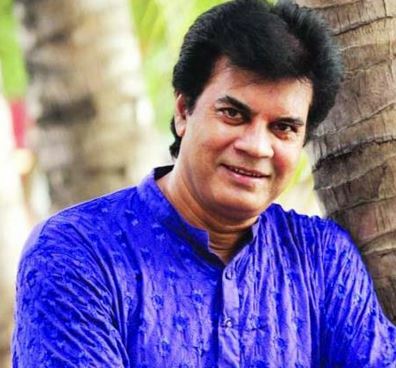 A renowned Film Hero llias Kanchan was born on Decmber 24, 1956 at a village Ashutiapara, Under-Karimganj Thana of Kishoreganj district. 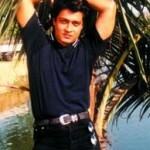 Ilias Kanchanwas graduated from University of Dhaka and started his career as Film Actor in 1977. 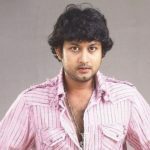 His first film is Bashundhara directed by eminent Film Director Suvash Datta. Ilias Kanchan was associated with more than 300 films as Main Actor. Out of that the most famous Popular films are Parinita, Sesh Uttar, Veja Chokh, Ankhi Milon, Beder Meye Jotsna, Sesh Rokkha, Baba Amar Baba, Mayer Shapna, Nirantar Shaste etc. His first Tele Film is ‘Nayak’. 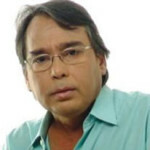 Ilias Kanchan is a Film Director & Producer also. Ilias Kanchan directed drama “Nakful” on road accident has earned huge popularity among the viewers of the country. llias Kanchan established a social movement “NIRAPAD SHARAK CHAI” (WE DEMAND SAFE ROAD) in 1993 after tragic death of his wife Jahanara Kanchan who was killed by a Road Accident on 22nd October. Since then he has been continuing his movement with the slogan, NIRAPAD SARAK CHAI. Ilias Kanchan has been trying his level best to spread out the movement all over the country as well as elsewhere in the world. Now there are more than 80 branches in the Division, District and Upazilla levels. The Government of Bangladesh has already declared 22nd October as National Road Safety Day. Ilias Kanchan proposal to declare 22nd October as International Road Safety Day is now under consideration of the United Nations General Assembly. llias Kanchan received hundreds of awards both nationally & Internationally. And a few of the awards are National Film Award, Bacchas Award, Zia Gold Award, Sher-e-Bangla Smriti Padak, Chalachitra Darshak Award, Bangladesh Journalist Welfare Association award, National Journalist Welfare Sangstha award, Dhaka City Corporation Nagar Padak, Nivetha Singapore Award, Voyage of America Award, Rotary Club of Dhanmondi Recognition, Bangladesh Cultural Movement award, Dhaka Juba Foundation Award etc. Ilias Kanchan is a Founder Chairman of Nirpad Sharak Chai & Secretary General of MANAS. 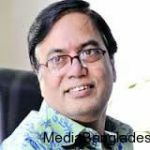 Mr. Kanchan is also the founder of Jahnara Kanchan Smriti High School, Sujanagar Pabna, Chandpasha School & College, Babogonj, Barisal and Jane Jahan Madrasha, Karimganj, Kishoreganj. This year he has established a Driving & Training Institute for the S.S.C passed unemployed poor people with a view to provide training & driving license free of cost and also has a plan to provide them with suitable jobs. 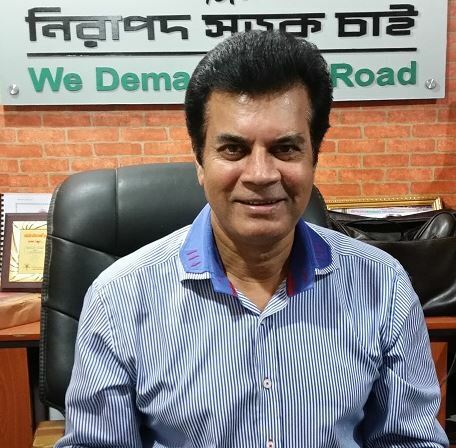 Alongside his involvement in film industry and movement for safety road namely ‘Nirapad Sarak Chai’ Mr. Ilias Kanchan is also engaged in business activities. He is a Director of R.B. Group, a leading business conglomerate of the country. llias Kanchan visited Saudi Arabia, India, Nepal, Thailand, Indonesia, England, America, Singapore, Malaysia, Canada, Japan, Pakistan and UAE many times. Ilias Kanchan daughter Israt Jahan Ima has already completed her BBA from England, and son Mirajul Moin Joy graduated from England this year too. Social Works are Nirpad Sharak Chai (We Demand Safe Road), MANAS, Jahnara Kanchan Smriti High School, Sujanagar Pabna, Chandpasha School and College, Jane Jahan Madrasha. ilias kanchan vai, you are my favorite actor. but now a days u r acting in very few movies. i want u to continue your acting in film as before. i want to communicate with u. i wish u best of luck. KANCHAN Vaia, I like you. I love you. How are you? I am Saiful. I like you. I miss you,because now a days you are not acting in the cinema. You was a star hero. Your dress up, face, body structure like so young. I think you should come back in the cinema.If you cast in different sentimental cinema like as (high action drama, politics drama, police IGP,brigadier & other different type drama) then again you can get market successfully in cinema at present. Indian hero MITHUN ,NANA PATEKAR, 3 KHAN, AJOY, ANIL, SONJOY DUTT they are synchronysing as you and they are success at present film industry, WHY CAN NOT ILIAS KANCHAN? Ofcourse, you should give to viewers new style cinema, no conventional cinema. We want to see you, again in cinema. You should possible too romantic cinema. If you cast in cinema, please cast as main actor. Please you do not cast as side actor, do not cast fathers actor.Because you are a big man.Thank you for your (NIRAPOD SOROK CHAI) performance. All the best. Allah hafez. acting film when I was in high school but now I am deprived of watching your film.I can forget myself but not your acting.Please,keep on your acting. This is sajal fm Chittagong.You are my one of the favorite actor.I love you very much.I will be very happy if I could get chance to meet with you in my life. I want Safety Roads and Safe life. Nirapad Sarok Chai, Jibonke Bachai. I have invented a device to control speed of running vehicle. It may be used at the turning points of roads, traffic signals, speed restricted ares to control speed of vehicles automatically and externally. It has been tasted and found ok. If you are interested, you may contact to my e-mail.